This weekend at the Bay Area Maker Faire, Arduino in conjunction with SiFive, a fabless provider of the Open Source RISC-V micros, introduced the Arduino Cinque. This is a board running one of the fastest microcontrollers available, and as an added bonus, this board includes Espressif’s ESP32, another wonderchip that features WiFi and Bluetooth alongside a very, very powerful SoC. Details on the Arduino Cinque are slim at the moment, but from what we’ve seen so far, the Cinque is an impressively powerful board featuring the RISC-V FE310 SoC from SiFive, an ESP32, and an STM32F103. The STM32 appears to be dedicated to providing the board with USB to UART translation, something the first RISC-V compatible Arduino solved with an FTDI chip. Using an FTDI chip is, of course, a questionable design decision when building a capital ‘O’ Open microcontroller platform, and we’re glad SiFive and Arduino found a better solution. It’s unknown if this STM32 can be used alongside the FE310 and ESP32 at this point. We’ve taken a look at SiFive’s FE310 SoC, and it is an extremely capable chip. It was released first at the HiFive1, and our hands-on testing revealed this is a chip that outperforms the current performance champ of the Arduino world, the Teensy 3.6. Of course, with any new architecture, there will be a few problems porting the vast number of libraries over to the FE310, but SiFive has included an Arduino compatible SDK. It’s promising, and we can’t wait to see SiFive’s work in more boards. It may be a week after the fact, but former Hackaday alum and inventor of the Bus Pirate [Ian Lesnet] made a great guide to the Bay Area Maker Faire. The San Francisco-area Maker Faire attracts 100,000 makers, tinkerers, hackers, and general geeks to a bazaar of DIY and generally cool stuff. All the regulars were there, including [Jeri Ellsworth] and her Commodore 64 bass keytar along with a huge assortment of cosplayers including a steampunk Boba Fett and a couple space marines. Outside the building there was a 40-foot steamship and the amazing DeLorean hovercraft of [Matthew Riese]. 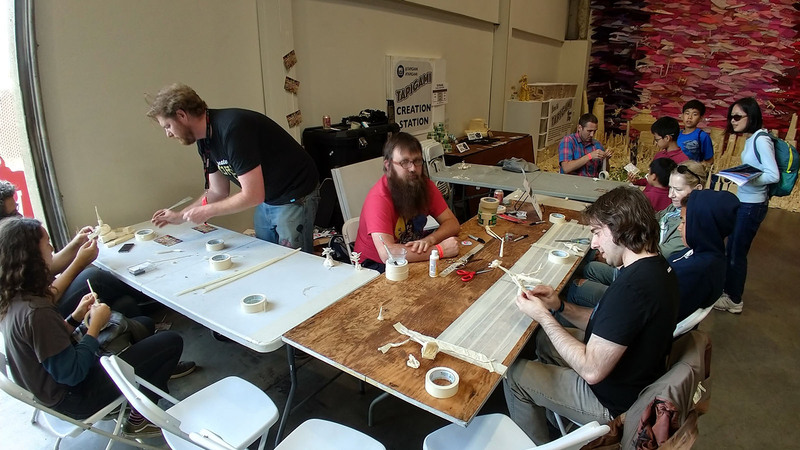 During his interviews with fellow makers, [Ian]’s most received advice is, “take it slow.” There are thousands of builders in the bay area during Maker Faire, and it’s very easy to get very overwhelmed. In case you’re wondering, [Ian] also picked up a ton of awesome schwag from all the vendors at the Maker Faire. Radio Shack had a box filled with random components,and [Kenneth] from Texas Instruments gave [Ian] a TI Launchpad, a capacitive test booster pack, and the king of all freebies, a Chronos watch. After the break you can check out a few of the video project interviews [Ian] put up. Very awesome work from literally thousands of makers.